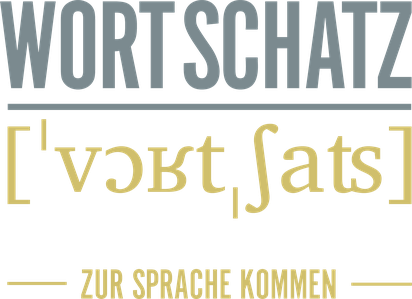 Testimonials - Ihr Sprachcoach für Deutsch in Basel. "In my position it was increasingly required that I performed confidently in German on a senior executive level. With Christoph Kirn we intensively worked on my presentation and negotiation skills in varied ways. We worked on enlarging my professional vocabulary, fine-tuned my grammar and made a "handbook" of useful phrases to assist in my every day German communication. I really enjoyed Christoph's fast understanding of my needs, his professional approach, flexible and enthusiastic teaching methods. He has done an excellent work! I now feel pretty confident in any interaction in the German language." "Christoph is an extremely professional and well qualified language coach. His flexible approach to my requirements has helped me a lot with contextual German. I feel more confident going into different situations, both at work and in my everyday life. His methods build confidence and he has encouraged me to speak and focus less on the technicalities of German grammar. This is exactly the type of language learning I was hoping for." "Christoph is the language tutor I have been seeking out for a long time. Professional, client-oriented and diligent in his attention to my learning needs, we were jointly able to map out a plan that worked for me and enabled me to meet my goals in a short period of time. Highly recommended!" "What I appreciate most from Christoph is his enthusiasm in finding the best way to teach any particular client. He is very flexible and happy to try different ways and for me he found a very good and varied teaching method. I also appreciate that he speaks very good English (even though all the lessons were in German) — it is important to me to be able to express what I'm trying to say, so that we can together find the best way to say the same in German." "I studied German with Christoph Kirn for a period of one year. During that time, I was active in founding a start-up company in Basel and I had the opportunity to pitch for my project, but in German. That idea was quite frightening and I did not want my project to suffer from a poor presentation. I submitted this to Christoph, who enthusiastically agreed to help me. We dedicated entire sessions to prepare the written and the verbal content. He studied the specific vocabulary of the topic I had to present, to help me be as precise and concise as possible. I rehearsed many times under his intelligent supervision. In the end, he had given me enough confidence that I was able to give a convincing presentation. Doing it in German was very much appreciated by the audience."